New Years Resolutions - should we have faith that goodness will come from within? 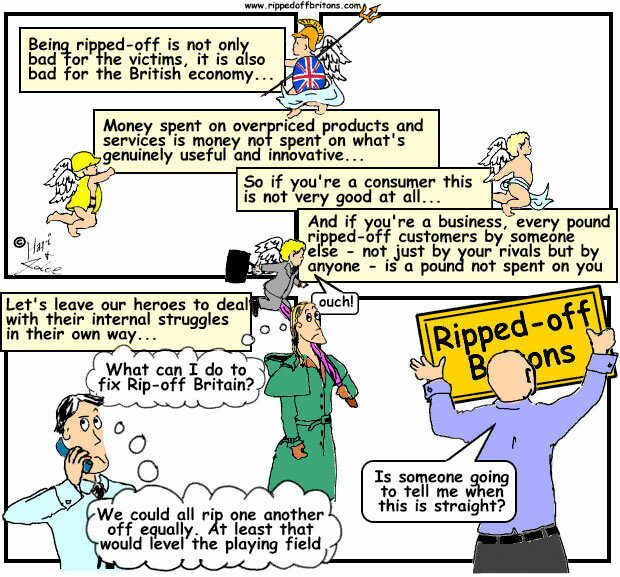 We at Ripped-Off Britons have kept our focus on those who rip off within the law. The targets of our blog posts and cartoons are as likely to be seen glowing in the company of princes and bishops as sweating in a commons committee or court room. The role call of lords and knights passing through Parliament's Grimond Room in 2012 sounds like a list of nobles sitting at the Round Table in King Arthur's Camelot. Actually they were perched on the naughty seats attesting to the disgrace of the Banking industry in front of the Parliamentary Commission on Banking Standards. The hearings may have been uncomfortable for those gallant and noble men with accusations of being "delusional" and "dishonest" ringing in their ears. But after three hours of wriggling and wiggling in the Grimond Room they were driven in a car paid for by the proceeds of their dodgy activities back to a comfortable home paid for by some more of the proceeds of their dodgy activities, to have a glass of single malt paid for by...(you get the general idea). Of course we should be resolute in the campaign against rip-offs and rippers-off. It is for us campaigners, those who draw and write and those who tweet and retweet, to point out their frauds and negligences. But what will actually stem the tide of scams and injustices is the resolution of the perpetrators themselves. They are proud spirits who, like Sir Thomas More's devil, cannot abide to be mocked and jeered. But they have almost impenetrably thick skins. In the end, their resolve must come from within.